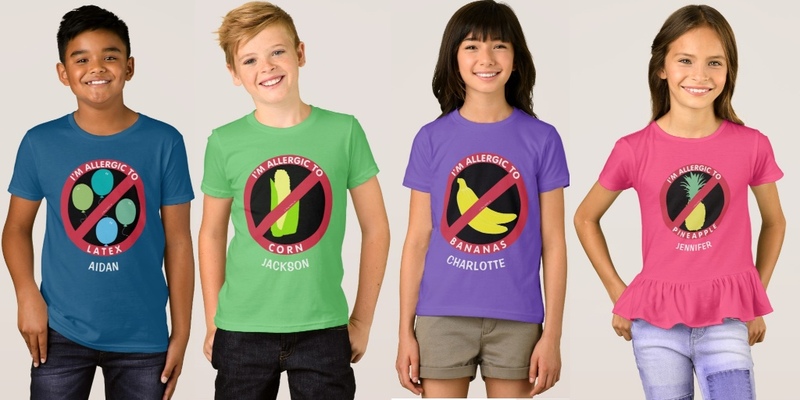 After many requests to make some symbols for allergies outside of the Top 8 most common, we added in some new symbols to our designs. 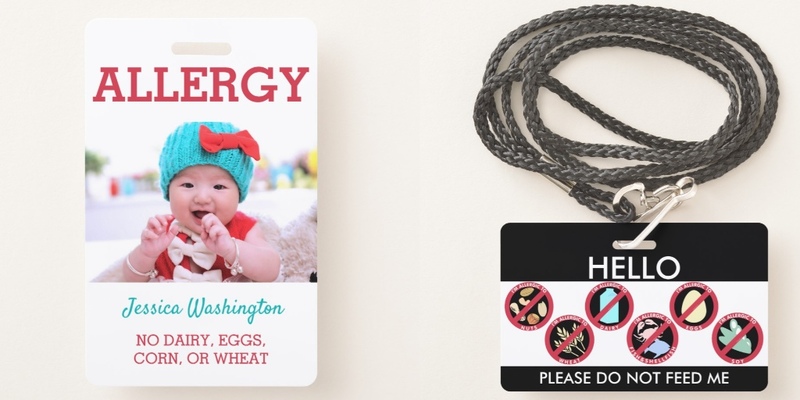 A variety of different allergy symbols including the 8 top allergens as well as other common allergens. 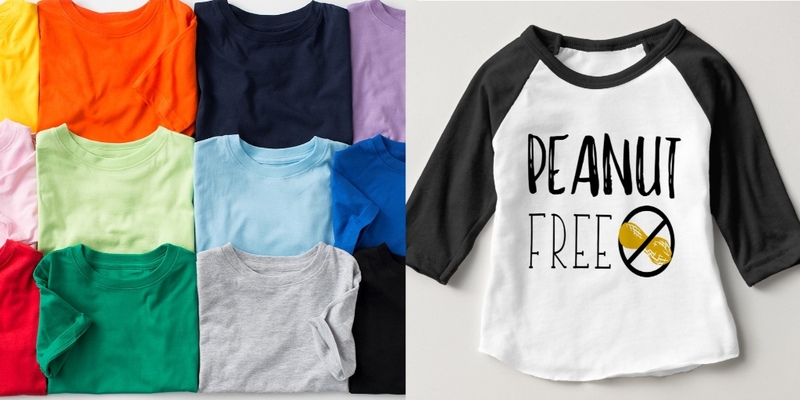 All designs can be personalized and font color may be changed for light colored shirts. Shirts are available in infant, toddler, child and adult sizes in a variety of styles including short sleeve, longsleeved and hoodies. All design allergy symbols stickers & shirts designs can be transferred to another product type such as a lunch box, keychain or tote bag. Contact me for assistance or an allergy symbol request or to combine multiple symbols on one item.